Did you know that Chicago, IL is the #1 destination in the country for St. Patrick’s Day? 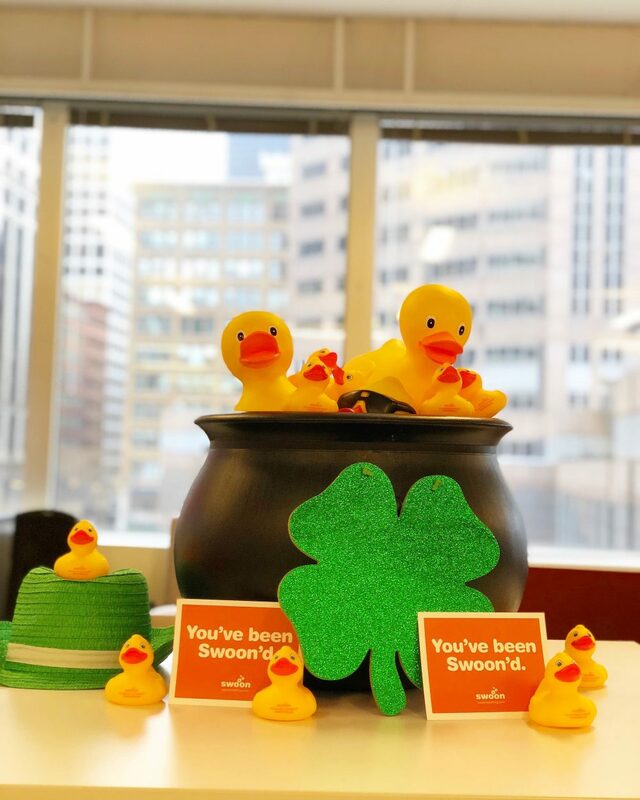 Did you know that Swoon is headquartered right off the river in Chicago that will be dyed green for the festivities? Did you know here at Swoon we help people make green aka money no luck needed? Did you know fake gold turns green? Did you know we play the hottest tracks every Friday at 5 and this week’s tracks are to get you in the St. Patrick’s Day spirit?